The PowerHook ensures the safety of your employees by securely restraining the trailer so it cannot move while being loaded. It is the premier restraining system on the market today. 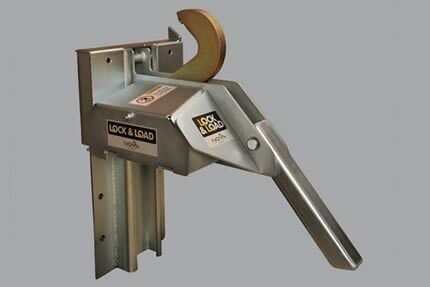 The PowerHooks automated system automatically detects and secures the trailer at the dock by latching on to the trailers Rear Impact guard (RIG) and holding it in place with 35,000+ lbs. of force. When not in use the hook is safely stored out of site below the dock. Restraining force in excess of 35,000 lbs. 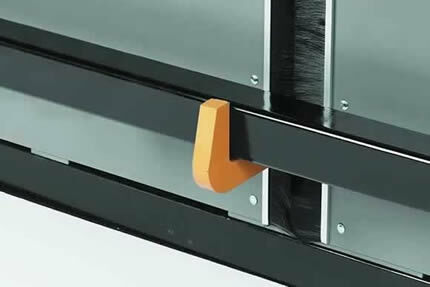 The Rotating Hook Truck Restraint is a hook-style restraint that holds the trailer in place with more then 30,000 lbs. of force to reduce the risk of injuries to staff, and equipment damage from accidents due to trailer separation at the loading dock.